Democracy Day (Loktantra Diwas) is a public holiday in Nepal celebrated on April 24. It commemorates the restitution of the Nepal House of Representatives that took place on April 24, 2006. 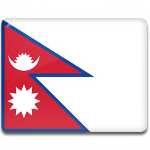 Nepal has two holidays that are referred to as Democracy Day, although they have different names in the Nepali language. Prajatantra Diwas celebrated on February 19 commemorates the overthrow of the Rana Dynasty, while Loktantra Diwas held on April 24 marks the reinstatement of the national parliament. In 2005, King Gyanendra took complete control of the government and took over as absolute ruler of Nepal. In April 2006, the Seven Party Alliance (SPA) along with the Unified Communist Party of Nepal (Maoist) staged a series of protests and strikes in Kathmandu against the King's direct and undemocratic rule. This movement is known as the 2006 Democracy Movement or Jana Andolan-II (“People's Movement-II”). On April 24, the King officially reinstated the House of Representatives and called upon the SPA to bear the responsibility of safeguarding democracy, ensuring peace, and taking the country on the path of prosperity and national unity. The anniversary of this event was declared a public holiday in Nepal.